The Ultimate Healthy Living Bundle 2018 is AVAILABLE today!! I had the opportunity to purchase this bundle about 2 weeks ago, so I’ve had some time to go through the products, order bonuses and choose my favorites. As you will see, most of my interest in the bundle revolved around food. 52 Weeks of Simple Meals It has been fantastic to have this plan in place for 2 weeks. My youngest is a Cross Country runner and not only does she eat a lot of food, but she keeps me in Mom Cheer Squad and taxi mode quite a bit. Last week I wrote more about why I love this product, and the great value it adds to the UHLB. Gluten Free Kids in the Kitchen Friends, can I just say how much it blessed me to find this resource. As a busy mom and grandmother of loved ones with dietary challenges, I find my creative juices and enjoyment dry up quite a bit in regards to meal planning. It is so much fun to have this recipe ebook to “cook through” with my grandkids. Ultimate Bundles are frequently available through blogs and social media. I’ve found that they can be awesome resources, but also very overwhelming. In the past I don’t think that I really got all that I could have from the 2 bundles previously purchased. That’s why I want to take a few minutes to show you how you can navigate a new bundle, like the Ultimate Healthy Living Bundle, and find just what you are looking for. Voices, Whose Do You Hear? What are the voices each of us hear as we go about our days? Are they the voice of truth, or of error? Do the voice mock you? Mocking your abilities, skills, knowledge? How about mocking your calling or vision? Do they mock your devotion to the task before you? The work you do? Do they tear down your confidence? Do those voices even threaten and intimidate you? If so, do you find that discouragement creeps in and it begins to choke out joy, peace, HOPE? Hello! 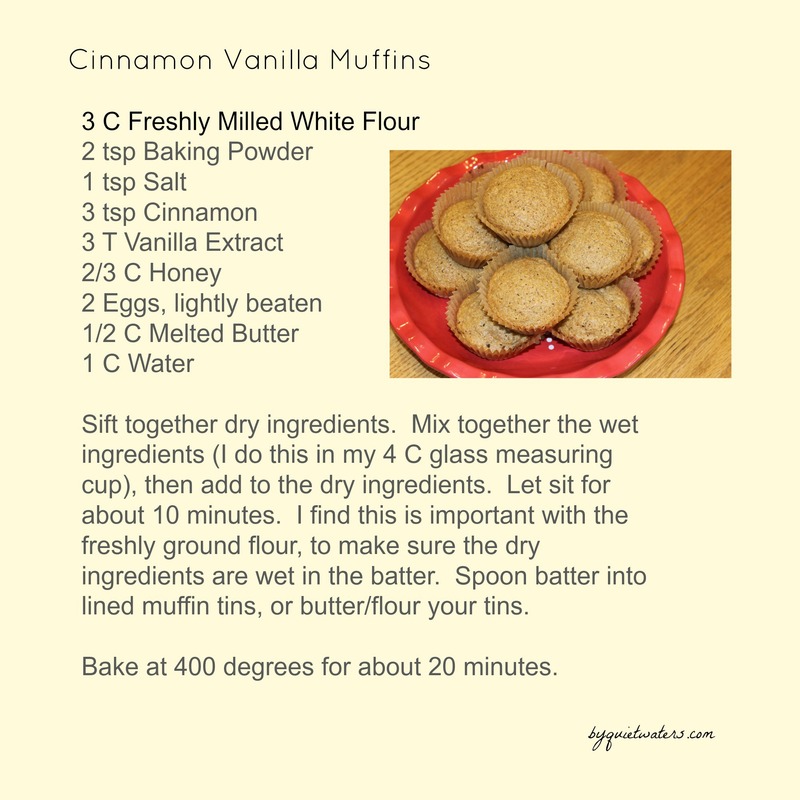 I am pleased to share with you a Cinnamon Vanilla Muffin recipe. This recipe is versatile and I often add bananas, apples or blueberries to the batter. Hope you enjoy! Colorado Springs is full of delightful places to spend an afternoon. 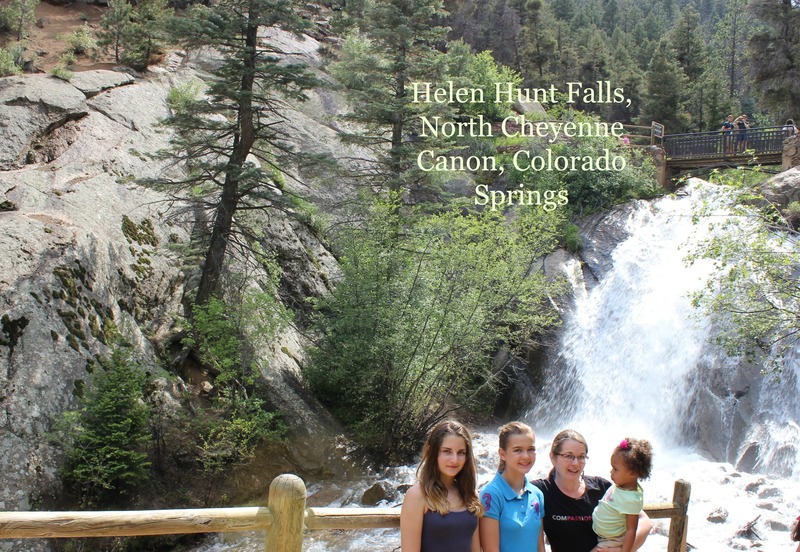 As I continue to write Colorado Staycation posts I must include Cheyenne Cañon and Helen Hunt Falls. 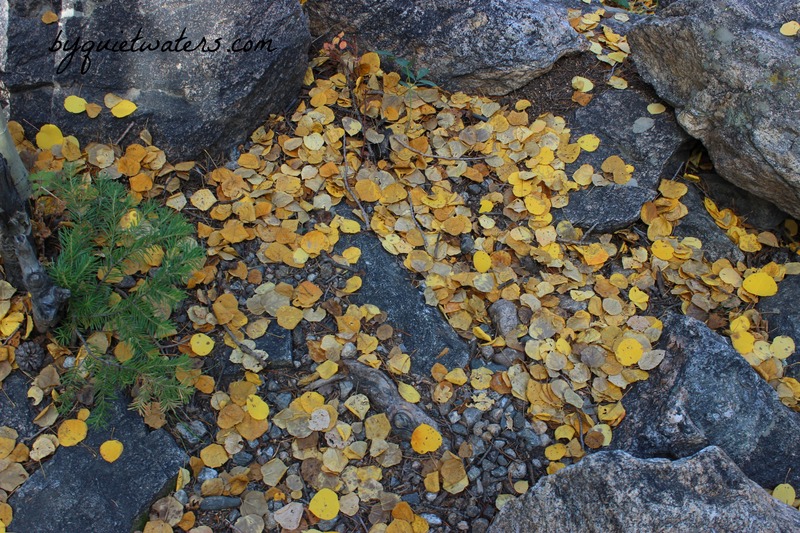 Located in southwest Colorado Springs the Cañon can be found along the same route from downtown Colorado Springs to the Broadmoor Hotel and the Cheyenne Mountain Zoo. Breakfasts…Getting Ready for the Week! Over the past couple of months we’ve had a houseful of people while another family lived with us off and on. They were selling their house, then waiting to close on their new house. It was great and we are happy to have the space for people to hang for a few days, or weeks. But now they’ve moved out of our house and into their new one, and I have space in my mind to think about getting back into routine. 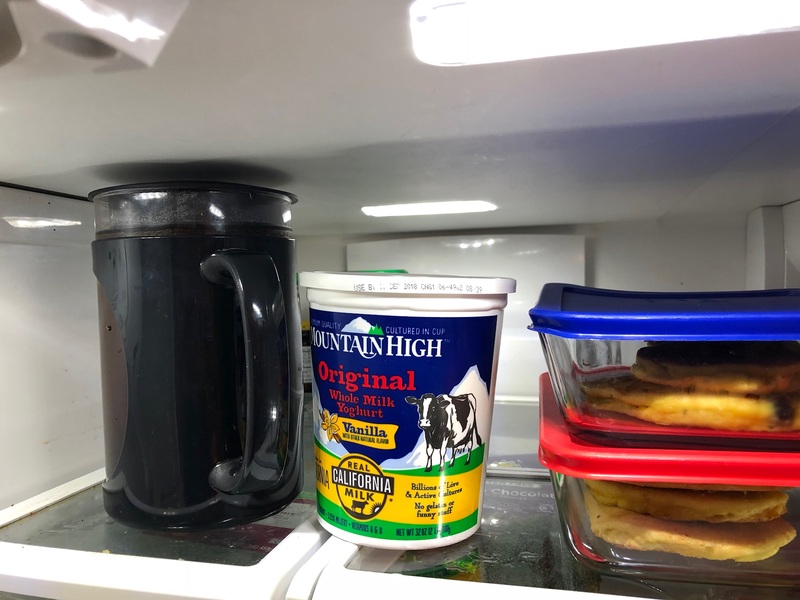 My focus on Sunday evening was …getting Breakfast ready for the week.